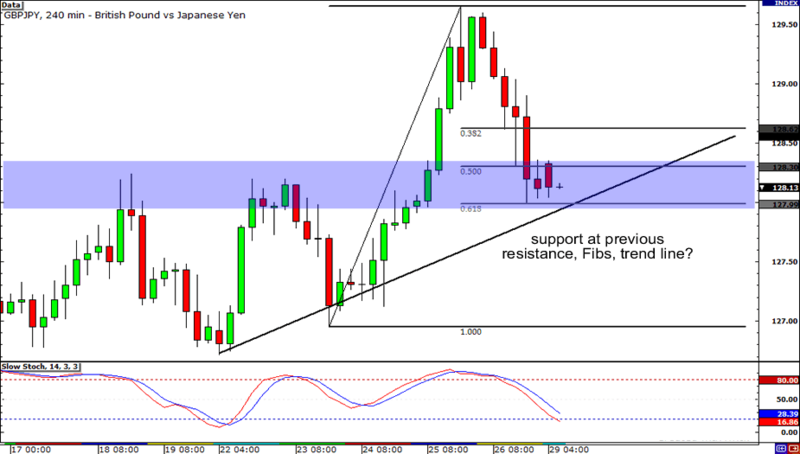 Remember that ascending triangle I pointed out on GBP/JPY last week? Well it looks like the pair pared some of its gains after it rallied past the resistance level. Now price is trading around 128.00 again which is not only where it previously found resistance but also coincides nicely with the Fibonacci retracement levels and the rising trend line. If you plan on going long on the pair though, be sure to wait for candlestick confirmation. It won’t hurt to be extra careful, homes! 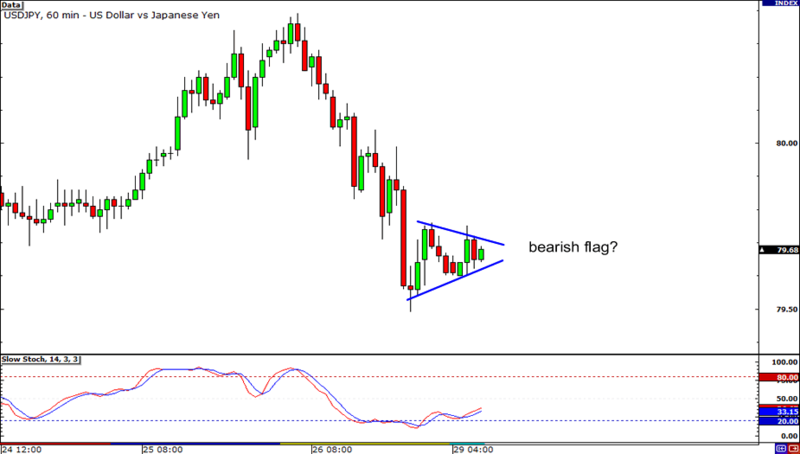 Where is USD/JPY headed? After getting sold off on Friday, it seems like the pair has just been consolidating above 79.50. Actually, I don’t know if my Ray B’s are just foggy, but I think I see a bearish flag! What about you? If you don’t have any bias on the pair, fret not! You can opt to wait for a breakout and let the market decide if you should buy or sell. 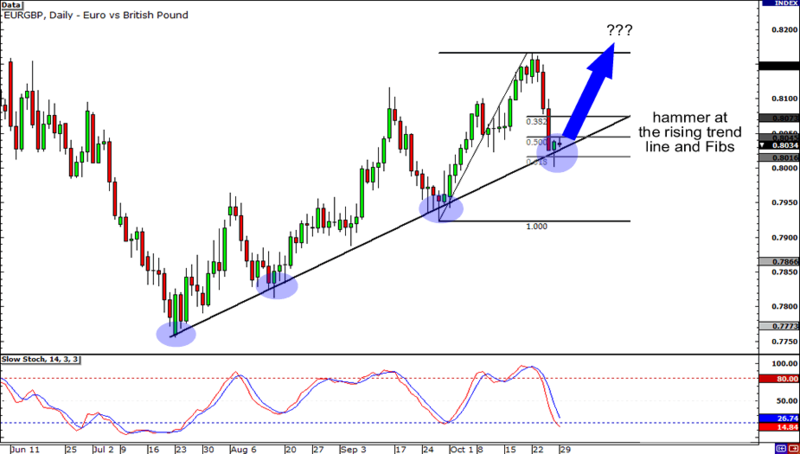 Lastly, here’s EUR/GBP on the daily timeframe. The pair has been on an uptrend for a while now. In fact, if we connect the most recent lows, we can see that price is currently testing the rising trend line. Last Friday’s candle closed as a hammer and formed just between the 50% and 61.8% Fib levels. Does this mean we’ll soon see EUR/GBP trade around .8200? Maybe. But don’t be so sure! Who knows, there could still be enough bears in the market to push EUR/GBP below .8000!